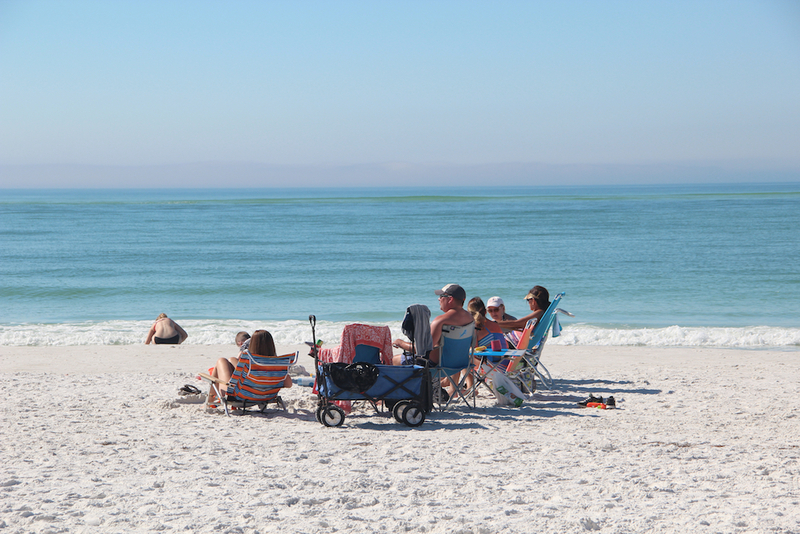 On March 9, Sarasota County staff will ask a Code Enforcement Special Magistrate to order Siesta Key resident Mike Cosentino to remove a portable toilet and sign from property Cosentino owns at 10 Beach Road, adjacent to Beach Access 2 outside Siesta Village. 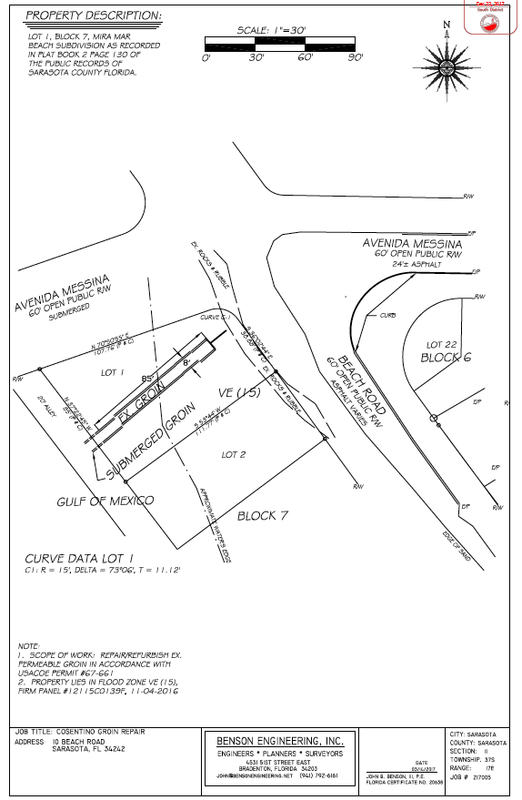 On Feb. 1, Howard Berna, the county’s manager of environmental permitting, signed an Affidavit of Violation related to the structures on property that is adjacent to Big Sarasota Pass. Cosentino purchased that parcel in early September 2016. The document points out that the installation of a portable toilet on the beach “in a coastal high hazard area” is inconsistent with the county’s Coastal Setback Code. The March 9 Special Magistrate hearing will begin at 9 a.m. in the County Commission Chambers at the Administration Center in downtown Sarasota. 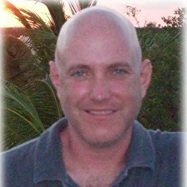 In the meantime, the administrator of the Environmental Health Division of the Florida Department of Health in Sarasota County has told The Sarasota News Leader that Cosentino has applied to the Florida Department of Environmental Protection (FDEP) to rebuild the deteriorated groin that juts out into the water from the 10 Beach Road property. As a result, Tom Higginbotham said during a Feb. 27 telephone interview, he has ceased discussions with the Health Department’s legal counsel regarding how best to deal with Cosentino’s failure to apply for the necessary Health Department permit to keep the portable toilet at 10 Beach Road. At every site where construction is planned or occurring, Health Department rules require that “a means for sanitary disposal be in place,” Higginbotham explained. The Health Department rules take into account that engineers and surveyors, for example, may need to spend time on a potential construction site, Higginbotham said. In the latter part of February, residents who live on Avenida Messina near Cosentino’s property contacted the Health Department about the situation, the News Leader learned. They shared with the News Leader the response they received from Virginia C. Bess, the department’s environmental health manager. In fact, he noted, Health Department inspectors travel to Siesta Key each week to check on bacterial counts in the Gulf of Mexico, so he has asked them to stop at 10 Beach Road to check on the situation. However, Higginbotham noted, if staff learns of the potential for adverse weather conditions that could affect the portable toilet and possibly lead to contamination of the beach, the Health Department could order Cosentino to remove the toilet. As for the FDEP situation: The environmental manager of FDEP’s Beaches, Inlets and Ports Program has sent Cosentino a First Request for Additional Information (RAI) in response to Cosentino’s application for work on the groin. Garis explained that Cosentino’s proposal “to restore, refurbish and reconstruct” the variable permeable groin — which is 108 feet long and 10 feet wide — would necessitate the issuance of a Joint Coastal Permit, which FDEP would have to provide Cosentino. Finally, Garis explained that if Cosentino wanted the department to continue to process his application, Cosentino would need to respond to the Request for Additional Information by April 19, which would be 90 days from the date of that letter. The News Leader also asked county staff about the FDEP application. 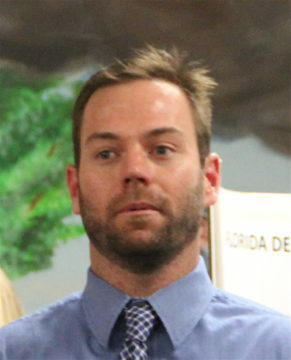 In a Feb. 28 email, Media Relations Officer Drew Winchester wrote, “Environmental Protection staff received the FDEP letter in January and informed Mr. Benson [of Benson Engineering] that a Sarasota County [Water and Navigation Control Authority] Permit and building permit would be required.” Additionally, Winchester noted, “depending on the final design,” a Coastal Setback Variance might be required. “An application for groin repairs has not been submitted and staff has received no follow-up questions,” Winchester wrote. On Dec. 29, 2017, the affidavit continues, staff issued a courtesy letter to Cosentino, requesting removal of those items by Jan. 5. The sign touts Cosentino’s fight — which began in May 2016 — to overturn a County Commission decision to vacate a 357-foot-long segment of North Beach Road. Cosentino also has filed suit against the county in 12th Judicial Circuit Court, arguing that the commission violated the county’s Comprehensive Plan in its May 11, 2016 vote approving that action. The case is pending, with further hearings on motions set for March 6 and April 3. 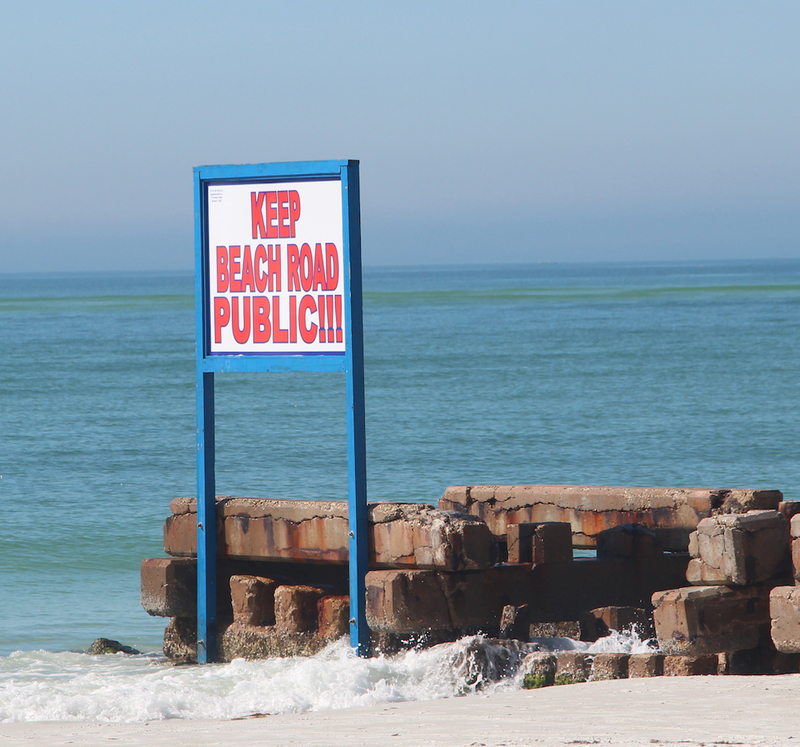 Removal of “the unauthorized sign and supporting elements at the end of the pier” to a location outside of the county’s Water and Navigation Control Authority jurisdiction and landward of the Gulf Beach Setback Line. “Any re-installation of the sign on this property or any other property within the unincorporated County must be consistent with the sign requirements found within the Zoning Regulations,” the affidavit notes. Removal of the toilet to a location landward of the Gulf Beach Setback Line.